Wherein a boy genius hallucinates and conspiratorializes! Ruiz Tremello & Marguerite are in the Casserole Islands, sailing across the Pacific and headed for Japan, discussing the 1961 novella, "Growing Season" by F.L. Wallace. 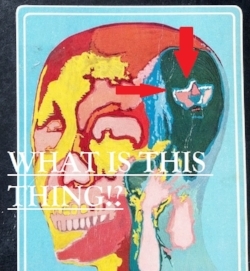 This story concerns a boy genius plant mechanic/psychologist who spends a fair amount of time being paranoid. Ruiz in particular enjoyed this story, as it reminds him of his time among the French Foreign Legion. F.L. Wallace (1915-2004) was a mechanical engineer who published numerous short stories and novellas apparently all between 1951 and 1960. If anyone wants to help fill in the missing years of his biography, his Wikipedia entry is insufferably short, and his entry on the SF Encyclopedia is missing several of his works, including this one, "Growing Season". Quick apology: Ruiz accidentally credits the year on "Growing Season" as 1961. This is an error, as it was actually 1959. Our apologies to all who are negatively affected by this unfortunate incident. Pictured: the inside cover of “The Frozen Planet”. To view the cover, please consult episode 018, “The Frozen Planet” - and to see the back of the tome, check episode 019! While visiting New Eagleville, USA, Ruiz Tremello & Marguerite stop to discuss "The Cage", by Bertram Chandler, from 1957. 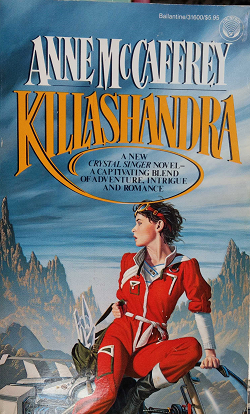 This story is especially fun; following the misadventures of a group of survivors from a crashed spaceship! It's basically "Naked & Afraid" sixty years before that show was even a show. This was the first Bertram Chandler story Ruiz has ever read, and he wants to read more, and MORE! Ruiz Tremello & Marguerite are in New Giraffe City, Latvia, discussing the 1881 short story, "The Clock That Went Backward" by Edward Page Mitchell! 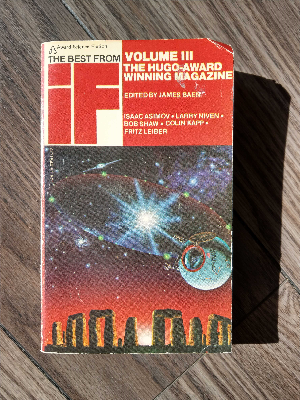 Taken from "The Time Traveller's Almanac" short story collection, the aforementioned volume claims that "The Clock That Went Backward" is the first time travel story ever published; but it's not. It IS the first story ever published that features a Time Machine, however; a fact that is pretty cool; or would be if it weren't for "philosophy". A quick correction: Ruiz inaccurately states that "The Time Traveller's Almanac" is over a thousand pages, but that is incorrect, because it's actually 948 pages. He apologizes for any inconvenience. Ruiz Tremello & Marguerite are in Neo Rio DeJanero, Norway! The legendary Earthcore Elevator connecting Norway to Brazil is here, and Ruiz insists upon calling it The Earthshaft. 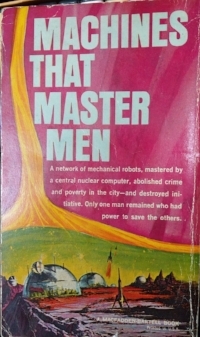 Also, our heroes are discussing "Gleaners" by Clifford D. Simak, wherein a Time Travel Manager has a bad day at the office. Clifford D. Simak is a very prolific writer of science fiction, whose titles include "Time is the Simplest Thing", and "Way Station". He won the Hugo Award 3 times, and this short novella was the first of his works that Ruiz has read. As you'll hear, Ruiz and Marguerite were both enamored by this story, and will definitely read more by this talented author. Ruiz Tremello & Marguerite are in Hammerfest, Finland, discussing "The Frozen Planet" by Keith Laumer, a novella featuring Retief, the universe's least subtle spy. 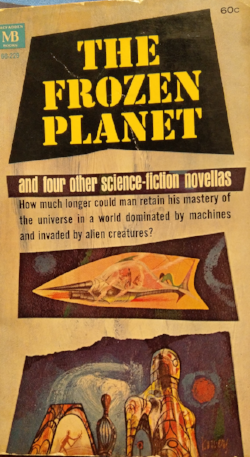 There are at least 14 different Retief books / collections, and "The Frozen Planet & four other science-fiction novellas" (MacFadden Books, 1966) contains this story, one of Retief's first published appearances. And what an appearance! He's basically 007 minus any trace of grace or elegance or Britishness. Keith Laumer (1925-1993) is the author of five different series', including the Retief novels, The Imperium Sequence, and the Bolo Books. 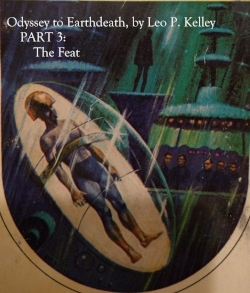 We of the EBC endorse the works of Keith Laumer, in the sense that we think that you should read books, and these happen to be books, so why not read them? Ruiz Tremello & Marguerite are in Colboclonk, Belgium, and discussing J.G. 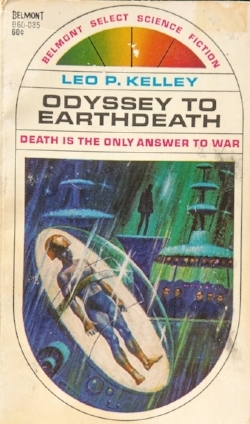 Ballard's 1967 short story, "The Last World of Mr. Goddard". The story concerns a creepy old man who wants to know everyone's business at all times! This story was found via J.G. 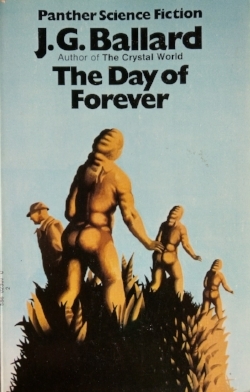 Ballard's "The Day of Forever" short story collection, an eclectic series of tales that Ruiz found occasionally plodding, often delightful, and ultimately enjoyable if a bit forgettable. J.G. 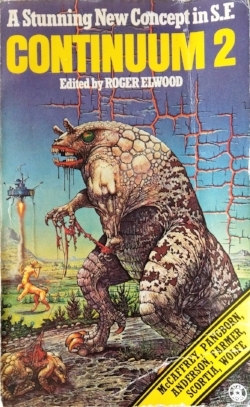 Ballard (1930-2009) was a British writer best known for the semi-autobiographical "Empire of the Sun", as well as his many Science Fiction & Post-Apocalyptic novels such as "The Drowned World" and "The Wind from Nowhere". Everett Book Club enjoys his works, and thinks that you should read them, and also everything else. Please always read, keep reading! Ruiz Tremello & Marguerite are in Hufflepuff, Portugal, discussing the 1916 short story, "Enoch Soames" by Sir Henry Maximilian Beerbohm. The story concerns a narrator's relationship to a failed writer, and an exciting Faustian bargain! This story was read from "The Time Traveller's Almanac", a massive collection of over 60 short stories, where it bears the alternate title of "Enoch Soames: A Memory of the 1890's". Wherein a swaddled lump of flesh is addicted to social media. Ruiz Tremello & Marguerite are in Paraguay, France, discussing the 1909 novella, "The Machine Stops", by E.M. Forster. This story concerns a far, far future evolution of humanity that neither of our hosts are interested in living in. If they could travel to the future, and they were stuck in this particular future, they would be far less happy than they are right now. CORRECTIONS: In the audio, "The Machine Stops" is stated to have been written in 1928, but this is incorrect, as the actual year was 1909. 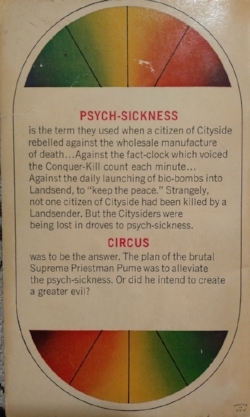 That incorrect date was taken from the "Cities of Wonder" short story collection, edited by Damon Knight. CORRECTION #2- Unfortunately, Ruiz did some research on Wikipedia, which inaccurately stated that E.M. Forster was nominated for the Nobel Prize for Literature 16 times. That is however, incorrect, as he was actually nominated 20 times.